Finally, the epimediums have started to pop in the cold frames and they look wonderful. We’re also seeing the first few stalks starting in the garden, but they are several weeks behind. The weather forecasts…if you believe long range forecasts, calls for our last frost of the spring this Wednesday night…hoorah! 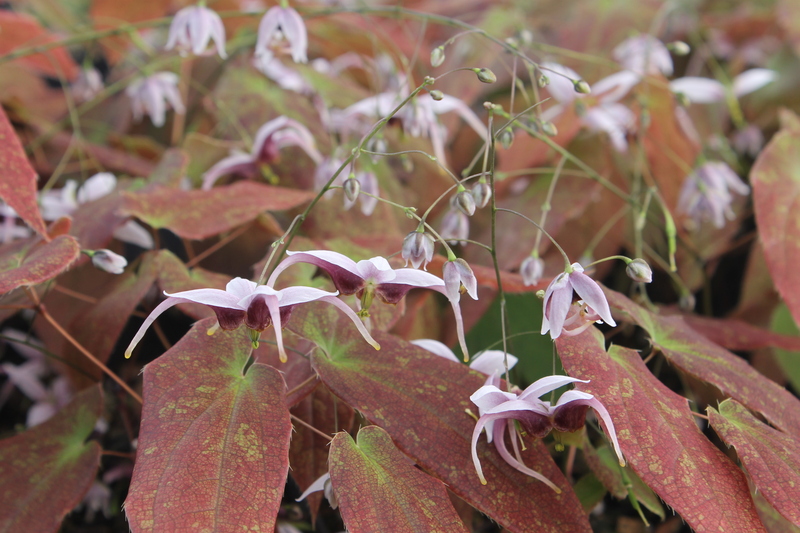 Here’s a photo I just took of Epimedium accuminatum ‘Ruby Shan’…a Heronswood introduction that has been unavailable for quite a while…until now.